Almost every character who’s still kicking on Game of Thrones was up north in the season 8 premiere. In Winterfell, the heroes of Westeros contended with the encroaching winter, the approach of the Night King, and an icy new political reality. Meanwhile, Cersei Lannister sat comfortable in King’s Landing. The final act of Thrones finds the current queen of Westeros without her brother-lover, Jaime. But she’s found someone else to keep her bed warm and her army staffed: Euron Greyjoy. Based on the past, present, and predicted future, the alliance may hold a few hidden risks for Cersei. Prophecy haunts the final season finale. Remember: Once upon a time, as depicted in the first episode of season 5, a young Cersei went deep into the woods around Casterly Rock, and discovered an old woman who lived in a small cottage. Maggy the Frog, as she was known, turned out to be a fairly powerful fortune teller. Depending on your view, most of these predictions have come to pass. Margaery more or less took all that Cersei loved, if what she loved were her children. It’s very possible that Daenerys will take away her power, the only thing she seems to love after the death of Tommen. But there’s another piece to this prophecy — one the show didn’t give us — that may be key to Cersei’s story with Euron. For Cersei, the obvious suspect to be the valonqar would be Tyrion, but the truth is that there are quite a few “younger brothers” in the Game of Thrones universe: Jaime, for instance, is a younger brother; Jon Snow is a little brother of sorts; even Sandor Clegane, the Hound, fits the bill. The prophecy never mentions whose little brother it’s referring to, and just about anyone remaining on the show could have reason to kill Cersei. So keep in mind: Euron Greyjoy is also a younger brother. Another piece of the prophecy that seems in question is the bit about Cersei’s children. According to Maggy, she’ll have three and each will die. The revelation from last season that she’s pregnant leaves a few options how this could play out, considering that her three children — Joffrey, Myrcella, and Tommen — have all been killed off: Either she’s going to die before she has the child, or Maggy’s prophecy wasn’t as accurate as Cersei has spent her life believing. 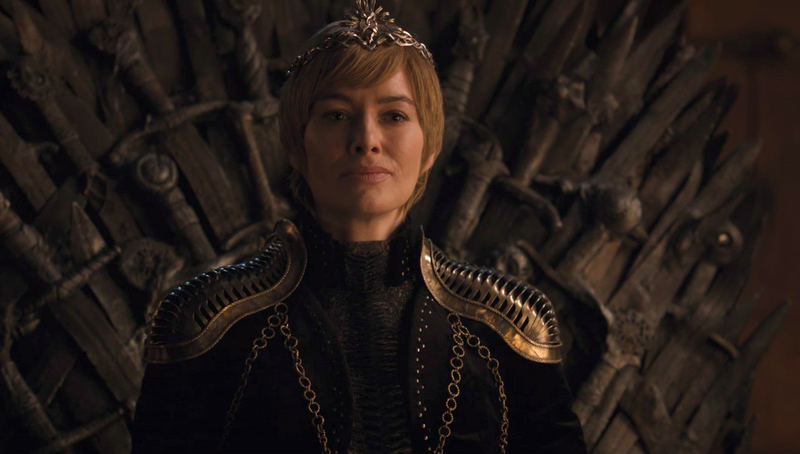 We might even get a hint of what could go wrong for Cersei in the first episode of season 8. Shortly after their “private conversation,” Euron seems intent on having a son with her. Since she hasn’t told him that she’s already pregnant yet, one might assume that when the news gets out, things could get ugly. 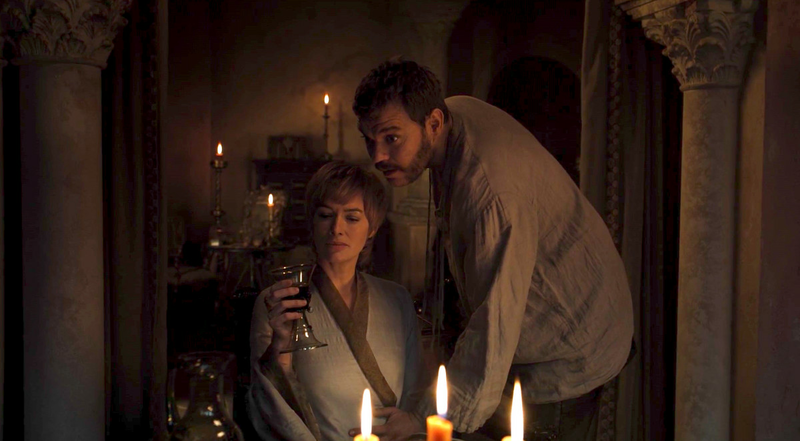 Cersei and Euron are in a relationship that, more or less, seems convenience-based. They’re near each other and on the same side, and they both have plenty to gain from the trust of the other. But what happens when the convenience of the relationship runs out, and they both find out that there was never any trust between them at all? Is it possible that of all the men she’s kept a close eye on thanks to this prophecy, Euron Greyjoy could be the man it was referring to all along? Euron has proved already that’s he’s more than willing to kill to get his way. In his introduction to the show back in season 6, episode 2, he murders Balon Greyjoy, his own brother. As things in Cersei’s camp get more dire, and her allies more desperate, it seems that she’s a being a little less careful with who she puts her trust in. But if Cersei isn’t careful, Maggy could still have one prediction to get right.